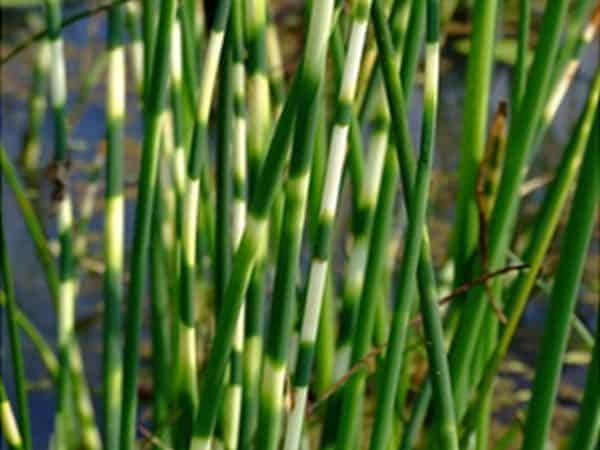 Zebra rush (Scirpus zebrinus) is a very attractive ornamental variegated bulrush with tall green stems and creamy-white bands every few inches resembling porcupine quills. It doesn’t flower as such but produces clusters of brown spikelets at the tips from early to late summer. 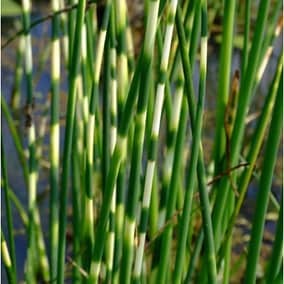 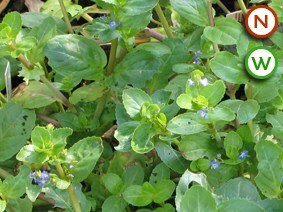 Looks good in groups around the edges of larger ponds but can buckle in strong winds. 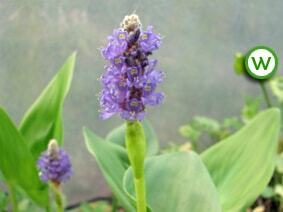 Any all green stems should be cut back to the rhizome and the creamy bands will be more pronounced in full sun. 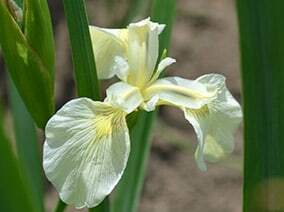 Prefers to be planted up to 10cm deep but will tolerate up to 30cm.